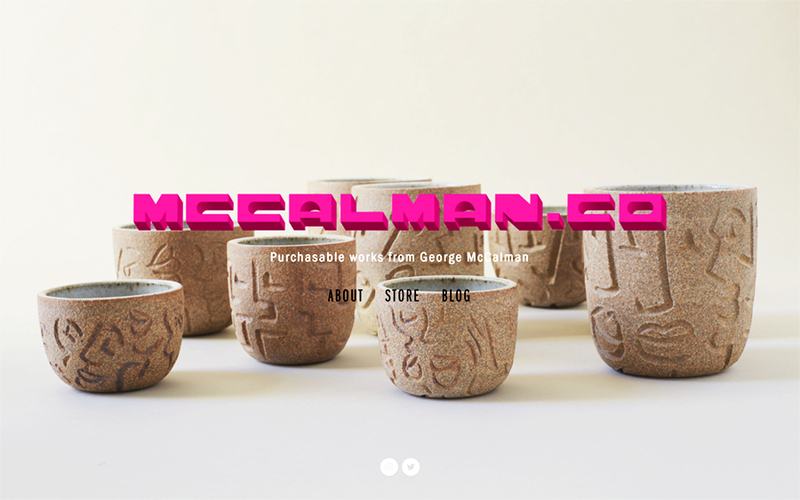 I’m nervous and excited to say that I’ve launched an online store called SHOPMCCALMAN.CO! It’s a collection plate of all the ideas that I regularly feature on my studio Instagram (@mccalmanco) including posters, ceramic keepsakes (in collaboration with Julie Cloutier), and original fine-art painted works. It also features a daily blog that is updated daily (God help me) so even if you’re not shopping you have reason to check it out. Let me know what you think!